It is a great pleasure to address the Security Council. I would like to begin by first thanking you and the Government of Kazakhstan for bringing us together for this important meeting on Afghanistan and Central Asia. We consider today’s meeting to be an important initiative on an issue of strategic relevance for peace and stability in Afghanistan and our wider region. We thank Secretary General Guterres for his insightful presentation. I am pleased to recognize the presence of the Ministers of Foreign Affairs of our Central Asian neighboring States and other partner countries. The high-level representation in this meeting signifies a personal commitment to the imperative of securing lasting peace and stability in my country, for which we are deeply grateful. Today’s meeting comes just days after the Security Council’s visit to Afghanistan. The visit was an opportunity to discuss, broadly, a number of important issues, ranging from security, development and regional cooperation; to governance, human rights, and democratization. We are confident the outcome of the visit will factor positively in strengthening the international community’s engagement, cooperation and consensus on Afghanistan. One issue that was highlighted in the visit concerns the topic on which we are meeting today: that Afghanistan’s stability and development should not be seen in isolation from the security and stability of the countries in our periphery and beyond. In this regard, the imperative of deepened cooperation between Afghanistan and Central Asian States on common challenges and promoting our shared prosperity has gained new impetus. Afghanistan has always recognized the importance of our relations with all regional countries, especially those of Central Asia. These bonds have endured on the basis of mutual respect for each other’s territorial integrity, shared interests and common affinities of culture and history. Despite these positive attributes, we had – during the past years – missed opportunities to elevate the scope of our cooperation for our common security, development and prosperity. Having said that, the past year has seen new dynamism take shape in our cooperation with Central Asian countries. 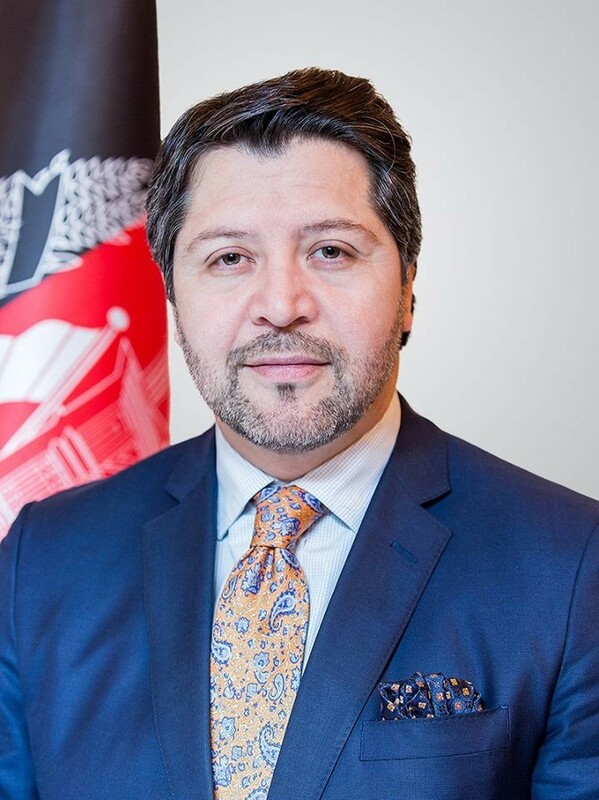 This is based on the firm commitment of the Government of Afghanistan to increase collaboration across multiple fields and sectors, such as regional connectivity; energy; trade and transit; security cooperation; agriculture, as well as the cultural and educational spheres. This new dynamic is manifested in a series of high-level visits to the Central Asian region in 2017 by the leadership of the Afghan Government. Last July, President Ghani visited Ashgabat and met with Turkmen President Gurbanguly Berdimuhamedow. In August, Chief Executive Dr. Abdullah visited Astana and met with Kazakh Prime Minister Bakhytzhan Sagintayev. And just last month, President Ghani paid a visit to Tashkent where he held wide-ranging discussions with his Uzbek counterpart, President Shavkat Mirziyoyev and signed over 20 MOUs. These visits have helped set in motion a new era of engagement, interaction and cooperation on a common agenda for our security, economic development and integration; as well as strengthening people to people ties. We all know that prosperity is not possible in the absence of security, a fundamental requirement in any society. Terrorism and violent extremism lie at the forefront of the inter-linked challenges threatening Afghanistan’s security and stability and that of the region. Our fight against terrorism is being conducted on behalf of the region and the world at large. In this struggle, we are making enormous sacrifices, in terms of human lives – ordinary civilians and our security forces alike. Despite all challenges, our forces have made progress in pressing violent militants and terrorists, including the Taliban; the Haqqani network; Al-Qaeda and Daesh, and the Islamic Movement of Uzbekistan, among others. In the past 10 months alone, our Special Forces have carried out more than 2,000 security operations nationwide, which have resulted in major losses among violent militants, including foreign terrorist fighters who come from the region and beyond. We are pleased to note that the imperative of addressing the problem of regional terrorist sanctuaries and safe-havens is now recognized more than ever before. This issue was loudly communicated by a broad spectrum of Afghan society during the Council’s visit to Afghanistan last week. Experience has shown that terrorism impacts all of us, and the task of its elimination lies beyond the capacity of any single country alone. It requires a comprehensive effort. In the context of our joint endeavors, we must prevent the radicalization of our youth, and identify and prevent the problem of cross-border terrorism, criminal activities and other illegalities. We must also work together to overcome the problem of illicit drugs. Progress in addressing this threat is only possible by joint and collaborative efforts, focused on all aspects of the challenge, including production, demand, trafficking of chemical precursors and consumption. We have engaged in comprehensive efforts to improve security and defeat terrorism. Outside the scope of military efforts, we are working to ensure success in our peace efforts with elements of the armed opposition. On February 28, we will convene the second meeting of the Kabul Process, where we will present our WAY Forward for peace and combating terrorism to the international community. We count on the full support and endorsement of all partners to the process, including the Central Asian States. The Kabul Process gathering will precede the Tashkent Conference on Afghanistan in late March, which we will jointly co-host with the Government of Uzbekistan. In this respect, we wish to highlight that all such initiatives should serve to reinforce Afghan-led and owned peace efforts, under the Kabul Process, which remains the over-arching framework. On the margins of the Tashkent Conference, we also plan to hold the first meeting of the C5+Afghanistan. The (C5+1) cooperation framework for Afghanistan and Central Asia is an important new regional initiative that will maintain sustained dialogue across a broad spectrum of areas. The UN will, undoubtedly, have a role to play in the process. Today’s meeting also affirms that the dangerous nexus facing Afghanistan and the region must be and can only be addressed if existing efforts are integrated and woven together across the peace, security and development pillars. This imperative lies at the core of the Heart of Asia-Istanbul Process, an Afghan led initiative, which most Central Asian countries are part of. This will remain a key focus as we work to increase our cooperation with countries of Central Asia through different platforms, including the Shanghai Cooperation Organization (SCO) in which we hope to gain full member status soon. We also see additional space for cooperation with the UN Center on Preventive Diplomacy in multiple areas. In this context, we welcome the outcome of the Ministerial Meeting on Security and Development, which was convened in November by the Government of Uzbekistan; the UN Office on Drugs and Crime and UNRCCA. Efforts under these formats will help us overcome issue of common concern. In this connection, we are of the view that any regional approach, should harmonize and help consolidate existing international efforts for security and stability in Afghanistan. Another central theme in our discussion today concerns the crucial way in which the development agenda helps propel security. This is a key principle guiding international efforts to stabilize conflict situations worldwide. Afghanistan is no exception. Over the past three years, the Afghan Government has worked tirelessly to advance economic cooperation to a new horizon. We have done so through the Regional Economic Cooperation Conference (RECCA), which has seen unprecedented progress since its inception in 2005. The past year has seen many notable achievements, but none as striking as the gains made in the area of regional economic cooperation. What we envisioned a few years back is now surely taking shape and becoming a reality. Projects such as the Lapus Lazuli Corridor and 5 Nation Railway, connecting China, the Kyrgyz Republic, Tajikistan, Afghanistan and Iran will have a profound impact on increasing connectivity and boosting movement of goods, ideas and peoples. 2017 also saw headway in the implementation of other mega projects, such as the CASA 1000 and TAPI electricity and natural gas initiatives. Moreover, the Chabahar Port is now operational, increasing the flow and trade of goods. Over the course of the year, we will work to further progress on these initiatives, the benefits of which are far-reaching and not only help boost trade and transit, but also facilitate the exchange of new and innovative ideas for our common prosperity. Our gathering here today symbolizes the unique opportunity that lies before us – an opportunity to shift the dynamic and transform the nexus of regional threats such as terrorism, instability and other criminal activities to a nexus of peace, security and economic growth and development for our prosperity. In this connection, we believe a new start towards regional engagement and convergence has begun. It is up to us to do our share and transform this new vision into reality. Afghanistan stands confident in the success of our endeavor.